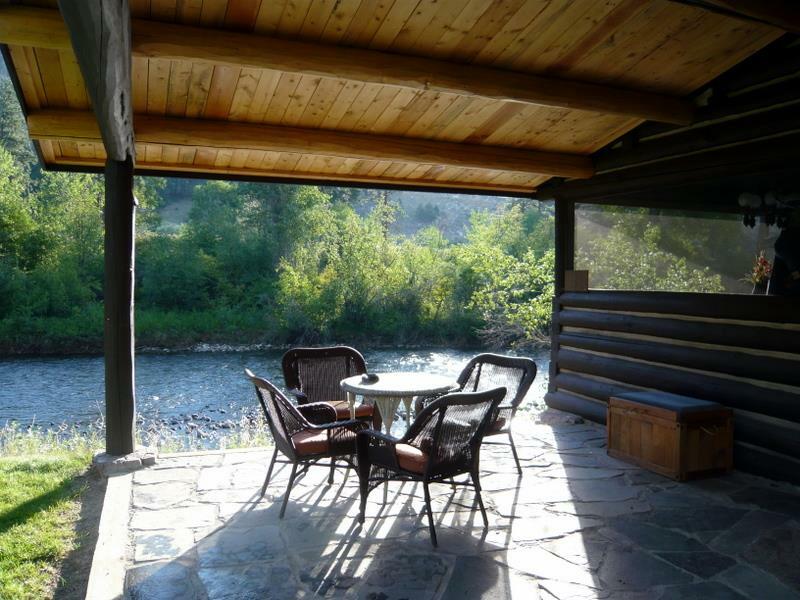 Our Cabin is located on the banks of the East Fork of the Bitterroot River with river views from every room. 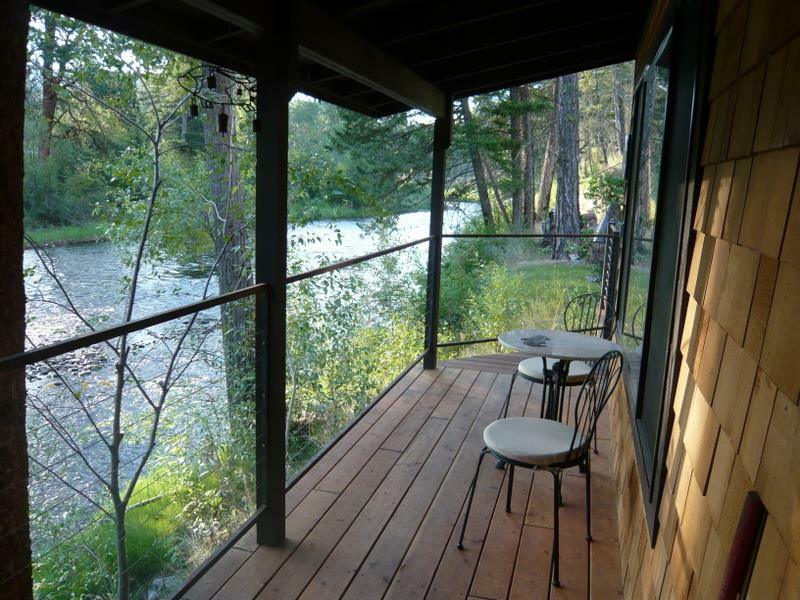 This one bedroom, two bath cabin has a king bed in the master bedroom with private bath and laundry facilities. 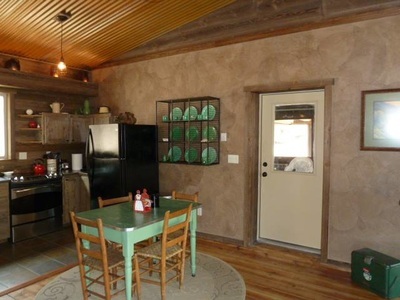 There is a "swinging" bed on the screened porch and a sofa bed in the living room . 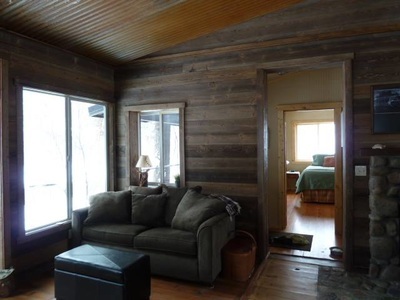 There is a fireplace in the main living area and a hot tub just outside the master bedroom on the back deck.